I’m working hard on the book and wanted to share a little piece that I think translates far beyond the tip stage. 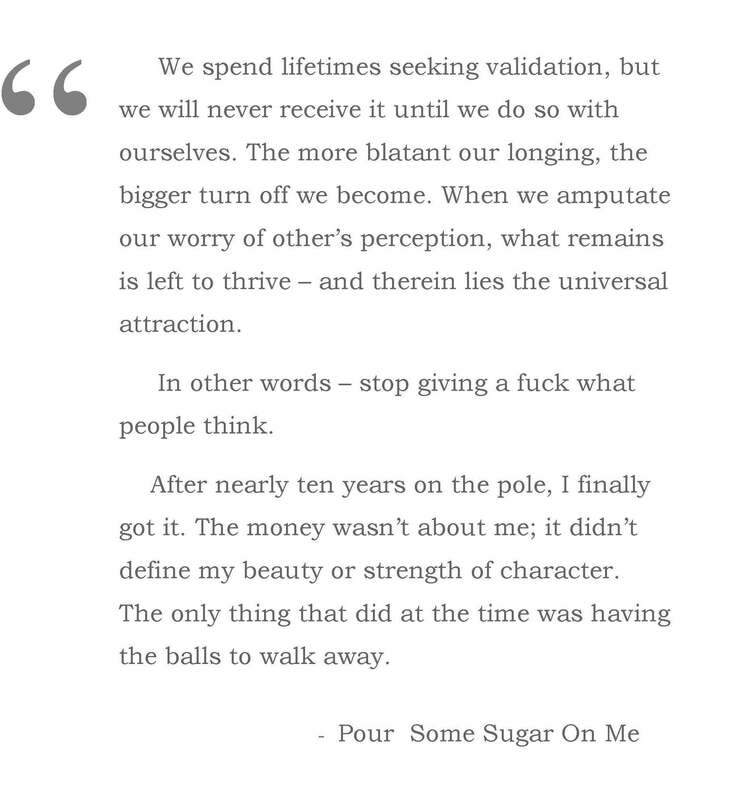 Walking away from the stripping world was just the beginning in a life-long journey to find my worth. But you don’t need a history of dancing naked on stage, addiction or abuse to come full circle. Every one of us has a story. This is the part where you tell me – what was something you did that made yourself believe you were worthy of love and belonging? How do you find your worth? You are MY comic relief! Ha! I love that the show was great! Can’t wait to hear! At 23 years old, I got a job, threw the father of my two young children, whom I had been with since the far too young age of 14 out of the house, and I changed the locks…. One day I just realized that I was better than what I was being. I was worthy of someone who would NOT tell me that I wasnt worth marrying…. And I would be a much better mother without the weight of him dragging me under. This is the most beautiful comment I’ve ever read. Thank you. Wow. You are my hero. xxoo Love you more.